I almost bailed on John Daniell’s The Fixer – the misogynist world of professional male rugby not being very attractive. But I stuck with it – Daniell was a player in the French premier league so presumably the sexist repartee was accurate and there for a purpose. 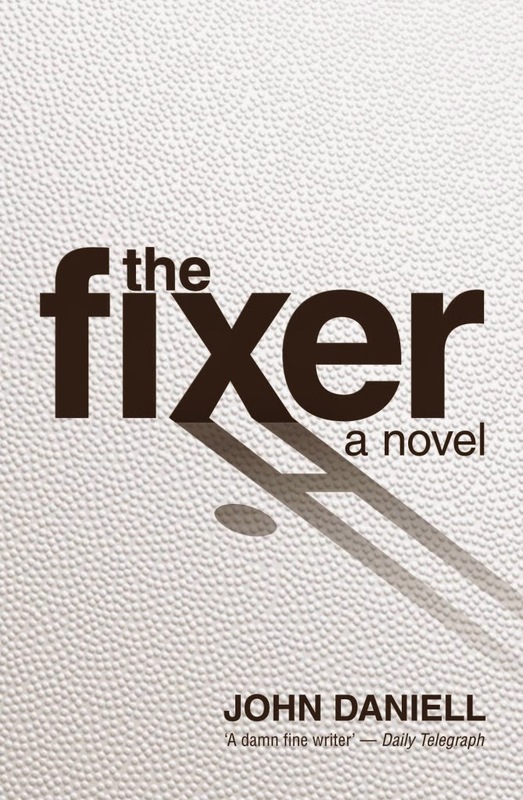 The Fixer is the story of former All Black Mark “Sparky” Stevens, now playing in France he is carrying an ankle injury and still feeling the after effects of his partner Sarah’s having left him to return to New Zealand. He is also feeling insecure about his future prospects for earning enough money for himself post rugby, and to allow him to help out with the education of his two nieces – his sister being a bit of a loser. Enter Rachel da Silva, a Brazilian journalist who ostensibly wants to write a piece on him but who smoothly leads Mark into temptation by offering ‘easy’ money, first for his opinion on the outcomes of games and then for the possibility of his determining those outcomes. It quickly becomes obvious to the reader that da Silva isn’t what she is presenting herself as – but as Mark has come out of a farming background and then through the rugby ranks being told he is a star, thus believably within a culture that believes women are either jokes or conquests, it is possible that he would fall for her pitch. As it turns out Mark has got an ounce of goodness in him, and a recollection of an evening out with Sarah and some of his mates belatedly makes him realise he is a bit of a plonker. But what really starts him thinking ethically is an article and an oral history tape about his grandfather’s experiences in the First World War. I know the trope of rugby, war and farming has been done again and again, but the article is word for word that of Daniell’s grandfather, and although jarring at first becomes very authentic. And Mark’s description of the tape where his grandfather talks of the diminishing tribe of those he could trust is very moving. Do you diminish until it is only yourself you care about, or do you remember that just as you want to trust in your mates, they want to trust in you? So I ended up liking this book; it has moments that are quite thrilling towards the end – and it made me realise how much of a Kiwi I am that I could clearly visualise all the detailed descriptions of the games!